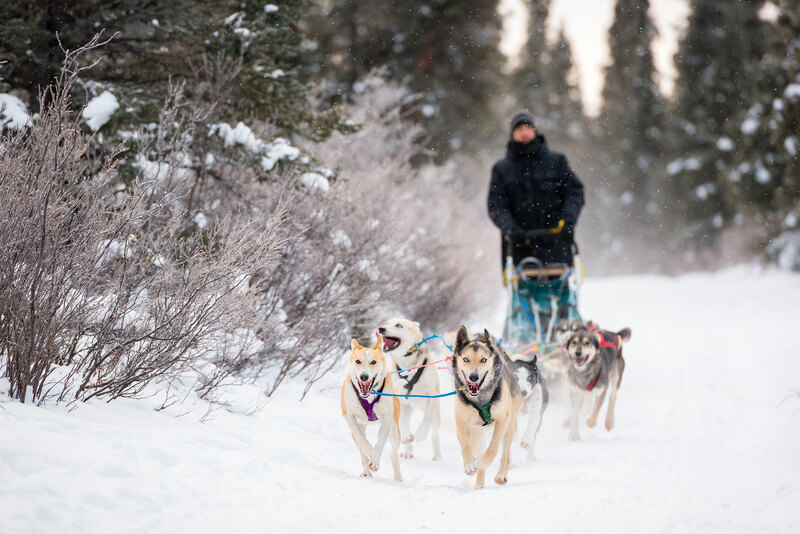 Our longest expedition, this 300-kilometre odyssey is a step back in time. 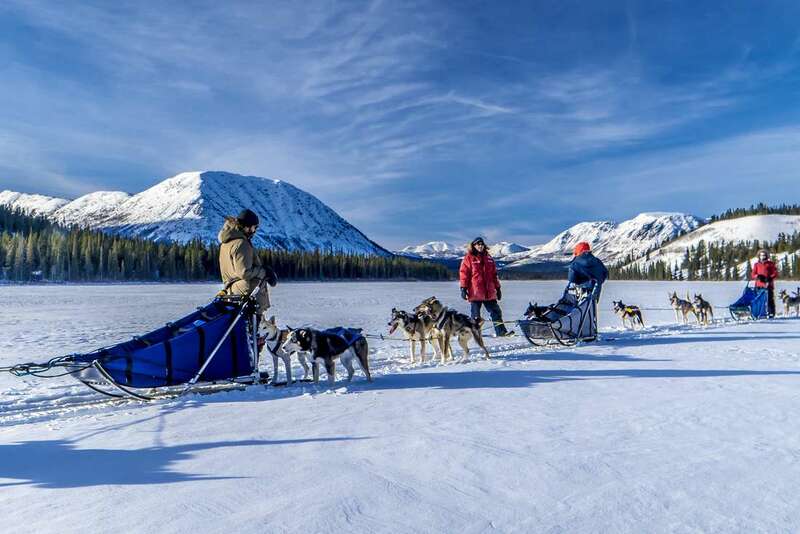 As the Tlingit word “Shakwak” suggests, we’ll be dog sledding “between the mountains” into a remote and roadless region that few people have ever seen. 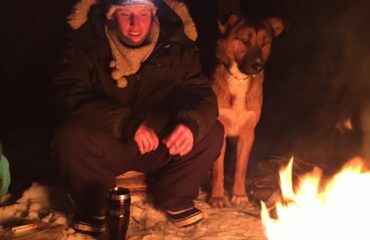 We’ll practice traditional bush skills as we live and travel on the snow, and develop a deep relationship with our dogs. This is a complete immersion in the land and in the lifestyle of the first explorers and inhabitants. 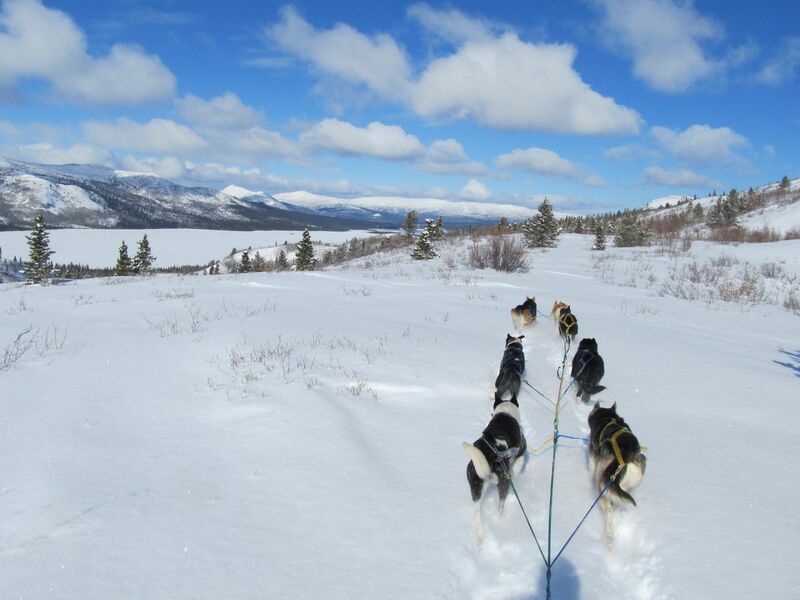 Please note that the itinerary described here maybe have to modified according trails and snow conditions. 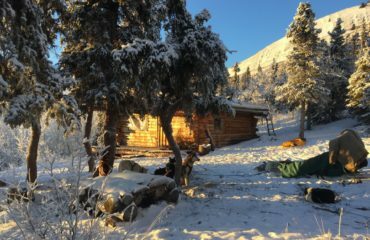 We’ll start by building your mushing skills over the course of three day-trips (three to five hours each) into the mountains immediately surrounding the ranch. 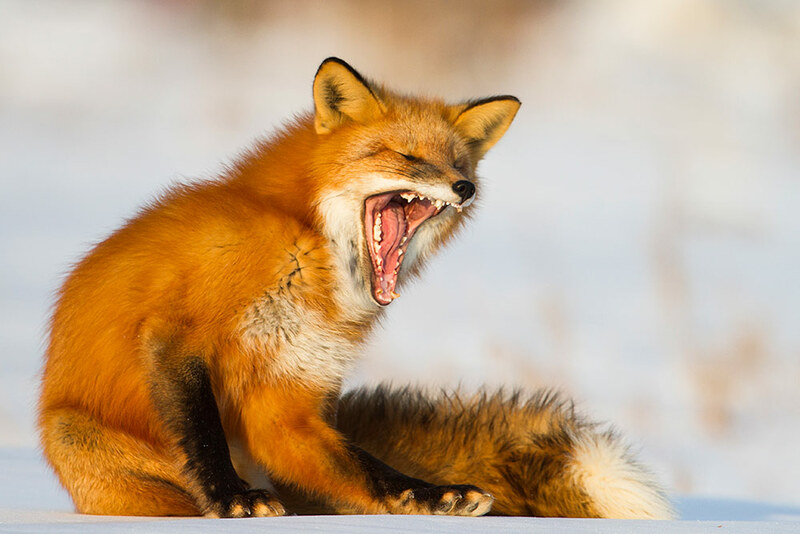 Relaxed evenings are a chance to rest, sample local beer and wild foods, learn more about the culture and history of dog sledding, and take part in an exclusive three-hour workshop on northern lights and wildlife photography led by a renowned local photographer. 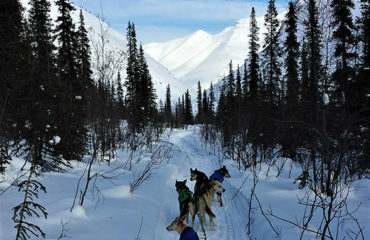 By Day 3, you’ll have a feel for the unique Yukon dog sledding experience and should be well prepared for the expedition ahead. On Day 4, we’ll drive to our trailhead at Dezadeash Lake. 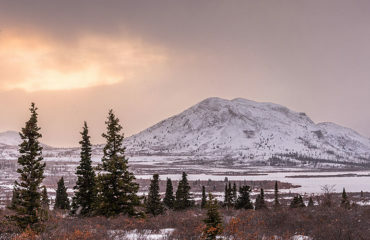 On the way, we’ll stop at the Da Ku Cultural Centre in Haines Junction for an introduction to the culture of the Champagne-Aishihik First Nation, a people who have lived for millennia in the land through which we are about to travel. 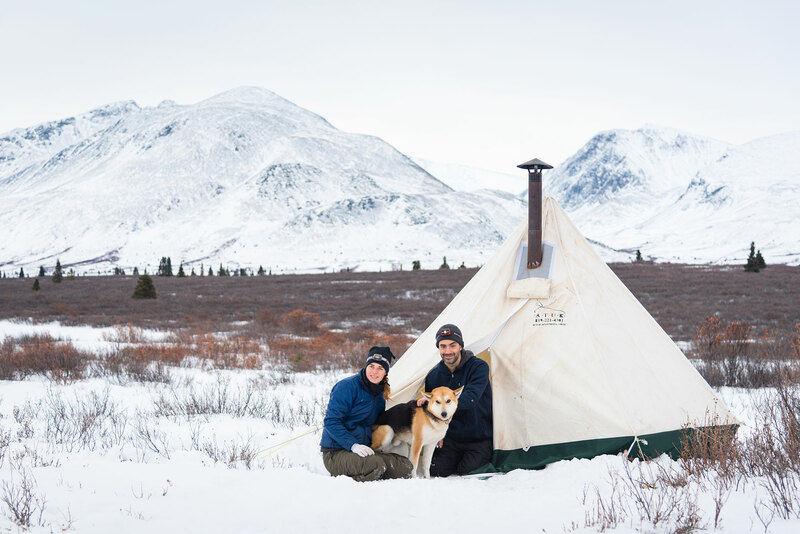 We’ll spend our first night on the trail comfortably installed in our warm tent by the lake. 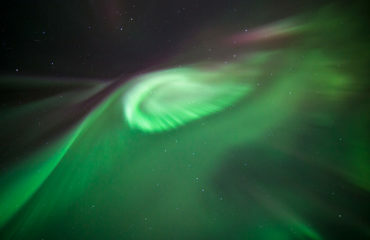 Keep an eye for northern lights as this open landscape offers great skies. 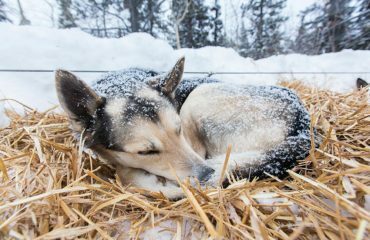 From Day 5 to Day 8, we’ll mush our dogs through the Shakwak Trench, a passage that was used by indigenous travellers for centuries. We’ll follow the wide valley of Frederick Lake to reach the steep-sided valley of Kusawa and Takini Lake. 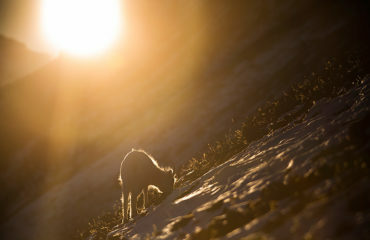 This diverse landscape is home to moose, lynx, Dall sheep and wolves. 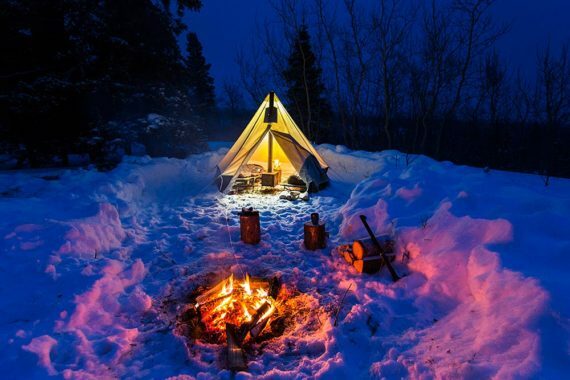 Night 5 and 7 we’ll spend camped at naturally sheltered and carefully selected sites, while Night 6 and 8 we’ll make use of traditional trapper cabins. The cabin we’ll reach on Day 8 will be our headquarters for the next three nights, including one day off to rest and repair (Day 9). While the dogs are resting on their straw beds, you’ll have the chance to practice a few essential bush-living skills. We’ll cook bannock, a traditional bread that we flavour with wild cranberries, for breakfast. Then we’ll head outside to build a snow shelter used by generations of travellers caught out during bad weather. 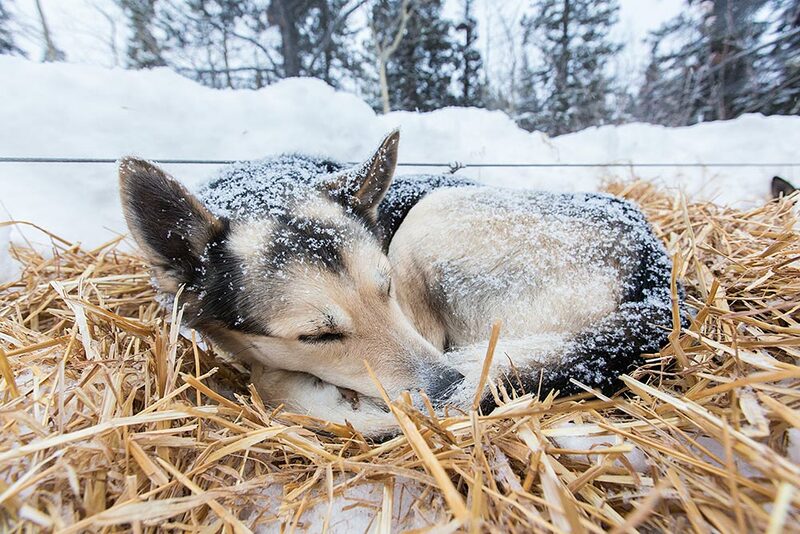 After nine days on the trail, taking care of your dogs is an instinct. We’ll make sure our team remains in top shape before we continue. 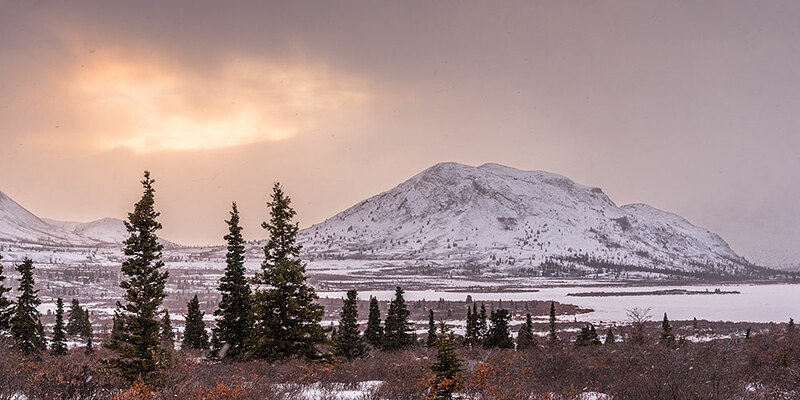 On Day 10, we’ll head out to explore the Primrose Lake area, our furthest point from any road and a scenic highlight. With surrounding peaks climbing 1400 metres above us, this glacial valley will leave you breathless. 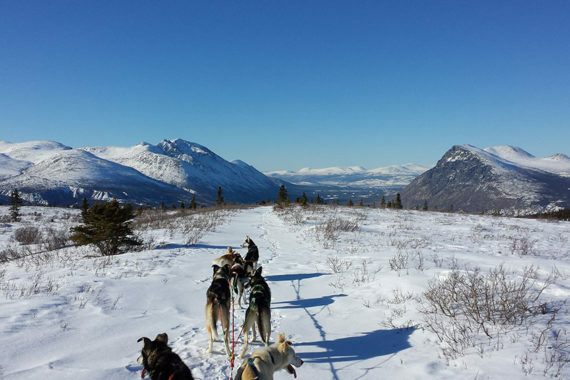 The dogs will lead us north through the rugged valley of Rose Lake up to the head of the Watson River and then down into its forested valley on Day 11 and 12. 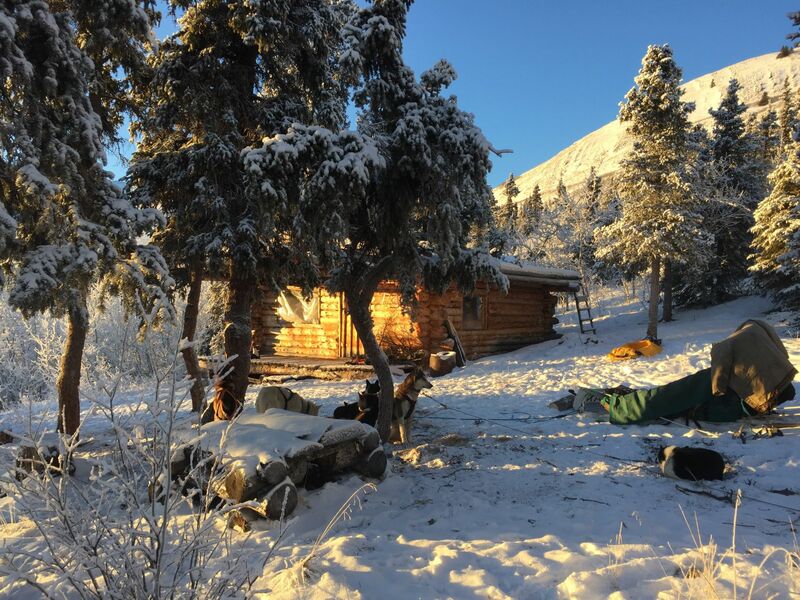 Night 11 we’ll spend in an old trapper cabin, while the two last nights we will set our tent camp at prime locations along the trail. 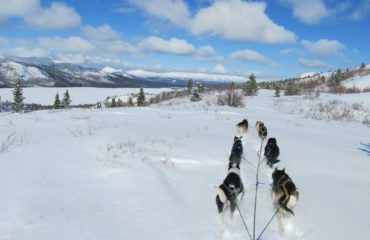 Day 13 brings us up above the tree line to the Alligator and Coal Lake area. Keep your camera handy as we climb into this alpine plateau, as it is home to woodland caribou and ptarmigan. 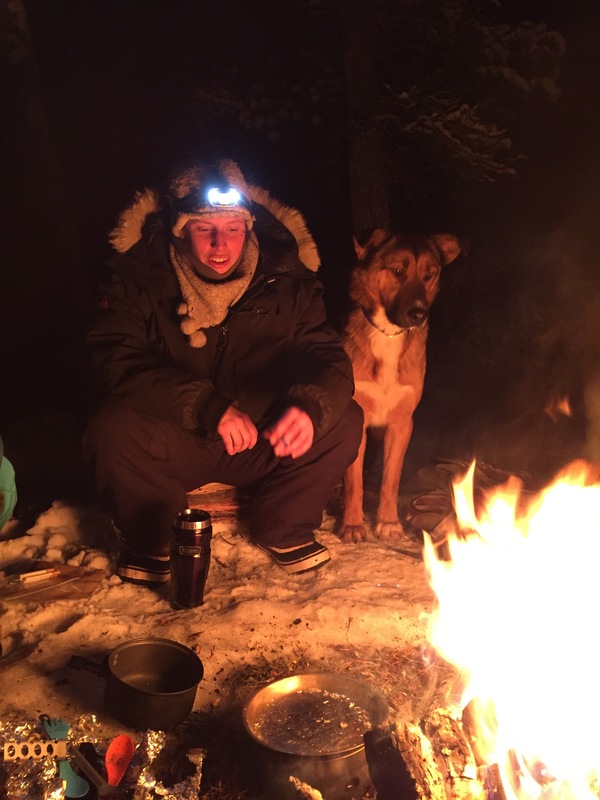 Night 13 will be our last night with the dogs out in the wilderness. On Day 14, we head up the Coal Lake Notch toward Fish Lake and our ranch, then off to town for a hot shower and a well-earned celebratory dinner.